Have you ever sat down and watched how your children or grandchildren consume content? What is their favorite type to use for entertainment? What about education? If you are seeing what I am seeing, the results are detrimental compared to the types of content we are creating today. You see, text-based long-form content drives most Content Marketing efforts. This is the same type of content we used in the late 90s and early 00s when we were establishing web technologies because we were ... See More not able to do anything else at scale. Today, we can stream rich-media entertainment and interactive educational content all over the world, to many diverse audiences, and yet we chose to launch a blog rather than a hub for blended content. Then, what about the tools we use. Do you consistently fight with your IT teams to strive to get the latest and greatest CMS or CRM systems to make sure you can leverage all the new AI tools for increasing engagement? Are all your systems connected and sharing data? Likely, your IT team dictates the adoptions curve, or the heavy reliance on high-priced agencies doesn’t allow you to take advantage of the full toolset you have purchased, let alone the latest version. 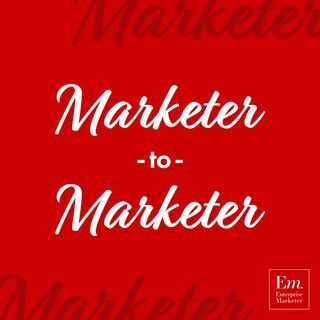 In this episode, Scott Monty and AJ Huisman join forces to discuss the future technologies that will disrupt Content Marketing and how marketers today can embrace the scary aspects to win. Scott drives to key point, “You must be able to look back to predict the future!” It is not all about knowing what technologies, tools, and tactics are the hottest, but the trajectory of the business landscape and history to see the directions and momentum they have.